Here is a list of over 2000 “cheesy”, nerdy, and fantastic dad jokes, and a brain puzzle like no other. 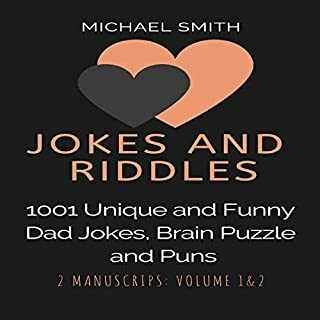 So if you want to laugh your way to wholeness with fresh, funny, and unlimited jokes, brain puzzles, and puns, get this audiobook today! 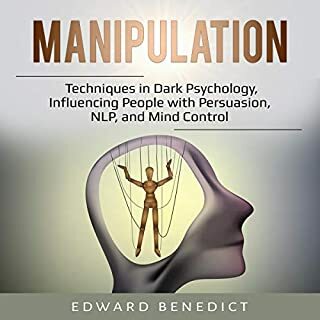 If learning the nuances of using mind control and nerve pathways to achieve the ultimate goal of success in life is something you want for yourself, then this is the audiobook to listen to. In this book, we will explore ways to control the minds of others through such easy techniques as: Follow the feeling, feedback, anchoring, behavior modification, and tracking. We will explore ways to use these techniques and more in order to create a more perfect mindset and to enable clearer thinking. This will enable a better level of achievement in personal goals. If fear keeps you safe and makes you cautious, that's fine, but if a fear of dogs stops you from going to certain places or doing certain things, then it's time to change the balance. Overcoming the fear of dogs and being in control around dogs isn't as complicated as your subconscious mind or imagination wants you to believe. If you want to build muscle, get strong, toned, and lean fast without resorting to dangerous pills, fad diets, wasting time in the gym...it doesn’t matter how old you are or what shape you are in now...you want to listen this audiobook. Regardless of what your weight-loss goals are, the keto diet is a great choice, as long as you approach it in the right way. 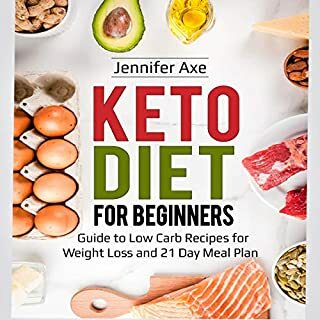 In order to ensure you make the transition as smoothly as possible, consider Keto Diet for Beginners: The Ultimate Keto Cookbook for Weight Loss - 2019 Edition for the latest and greatest details on just what makes the keto diet so unique. 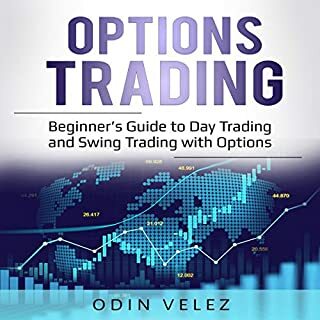 Most people make the mistake of undermining the silent yet powerful indicators covered in this book that limit their victory over low self-power. Perhaps you may have made costly mistakes, and you believe it’s impossible to develop assertiveness. But now, you can stay informed with insider tricks and strategies of highly self-powered individuals use to maximize and maintain aggressive assertiveness. The celebrated dog trainer Corrie Burns shares her training system that can help you transform any dog - from spoiled purebred puppy to shelter-shocked rescue - into a model companion you've always wanted in just a few days. 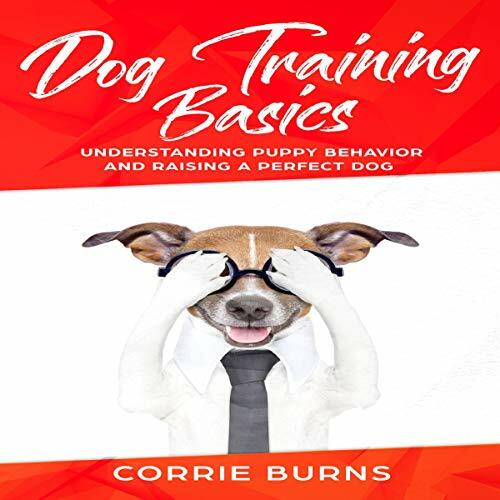 Through the ideas compiled in her audiobook Dog Training Basics, Corrie Burns rescues untrained, unwanted, unadoptable shelter dogs on a weekly basis. In the days that follow, these dogs undergo a remarkable transformation as they learn to trust Corrie, master her simple commands, and overcome their behavior problems - ultimately becoming well-mannered puppies and even service dogs. With her labor of love and dedication, Corrie unites each dog with a forever family. 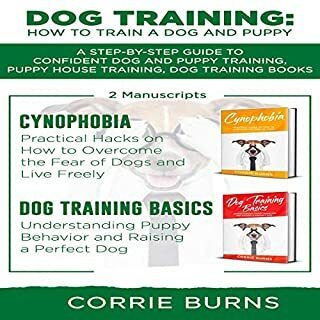 In her first audiobook, Cynophobia, Corrie Burns shared the knowledge she has gained working with thousands of dogs of every breed and personality to help listeners overcome their fear of dogs and also turn their own pets into well-trained dog graduates. Dog Training Basics begins with the foundation - building trust, establishing focus and control, and mastering training techniques. From there, Corrie explains her playful, careful, and kind approach to training the simple commands she teaches every dog as you will find in a few chapters from now. Next, Corrie provides solutions to common canine behavior problems, including house training issues, door dashing, chewing, barking, and common mealtime misbehavior. Dog Training Basics lessons includes easy-to-follow steps, examples, tried-and-proven tips and tricks, and all you need to raise your puppy. Throughout the audiobook, Corrie Burns shares inspiring stories about her favorite students. Corrie Burns believes that no dog is beyond saving, and the loving, positive, successful methods she offers will work wonders with even the most challenging dog. Create the happy pet family you want with Dog Training Basics. Best dog training book I’ve read/listen, with a nice approach to training, better than some other approaches I have listen. This audio book is clearly written step by step. It also has check lists in the back to follow when training. It is the best I have seen. Love this audio book. It is all about positive reinforcement and not shaming or screaming at your puppy. Definitely recommend. It was very helpful for training our excitable golden doodle. Very effective. My Lab puppy is much better disciplined because of this audible book. My only complaint is I feel the author is a bit wordy. i learned many tips how to keep my dog relaxed when i leave my home. thanks Cesar and to Audible! Very informative. I liked the reinforcement on how dogs don't have good memory. I'm always reminding my husband that you have to basically catch in the act. I've learned so much from Cesar as a dog owner and dog trainer. This audiobook allowed me to come up with ideas to help my dogs and my clients' dogs relax and feel safe when we are away. Not to mention helping us Dog Owners know our dogs are calm and comfortable. Not sure audio book idea will be effective for all, but the basic ideas of exercise, discipline, routine and affection are great! My dog is a cute ball of happiness so whenever i leave her she gets so sad because i live alone. This audiobook is really helpful for me to understand my dog's activity better. Good read! Best dog training book I’ve listen, with a nice approach to training, better than some other approaches I have listen. Love his approach to dog training. Will use this book when I get my new pup in a few months. I am a veterinarian and dog breeder. This book is a must listen for all of my clients and new puppy owners. It is an excellent book that helps new owners step by step to form a cooperative relationship with their new dog. 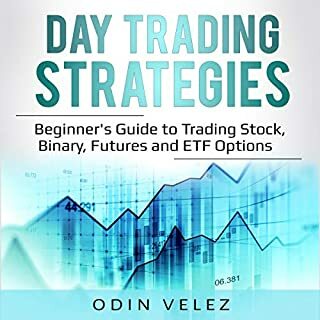 It's easy to understand and one of the best resources I've seen. Lot of great tips on how to train your dog. Easy listening and a good structure to get started with your new family member. Just remember patience is key. I highly recommend this audiobook. It is very detailed and covers just about everything. The best part is the training log at the end of the book that covers the first five weeks and is already all planned out for you. I love it. Very well written book. It has a lot of great ideas for training dogs and staying with it. It also gives great insight into owning a dog from the beginning. Highly recommended for people who have never had a dog before. awesome. I Knew they had to be a better way of training. Seems to work on both the older and younger dogs.